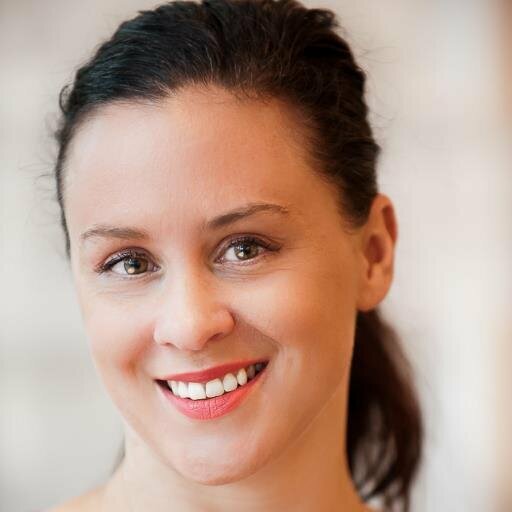 Vanessa Wiltshire is the founder & leader of #HRTCtalk, a social media channel dedicated to scanning the global environment to bring information to the Australian business community on patterns, shifts and trends that are occurring in the world of work. It connects HR and business people together, across Australia (and around the world). She jointly holds a role as Principal at Murmuration, a philosophical and values aligned partner that facilitates career professionals, business soloists, entrepreneurs and SMEs to flourish. Vanessa is also a speaker, most recently keynoting at the VECCI HR Business Breakfast on 29 May about “Harnessing the power of social media and managing the risks”. You can find Vanessa on Twitter here, Linkedin here, and join the conversation on Twitter at #HRTCtalk here. To start – I find the notion of requiring a certain amount of years’ experience incredibly limiting and frustrating. An example of this: Sophia Amoruso Founder & CEO of Nasty Gal was a community college drop out and self proclaimed “hitch hiker and dumpster diver”. But her past was not her future, and she established the fastest growing retail online business in the USA – at the age of 22! So you see, years’ experience andeducation doesn’t necessarily mean anything (unless you are a surgeon!) With my partners and associates, I look for passion, ambition and the ability to grow. Plus an attitude of kindness and compassion. Anything can be achieved with these attributes. Having said all of this – my experience in internal HR was paramount to building The HR Talent Community. I also have a degree in HR / Psychology but in hindsight, it wasn’t necessary. Everything I have learned, it’s been on the job and life experience. This is hard as what you don’t know, you don’t know. I set the intention to keep myself open to feedback, no matter how hard it is to receive. You see, it can be a gift in disguise, and you can always choose to take it on board – or not. I find when I’m willing to undertake deep and honest self-inquiry, amazing transformations occur and I become a better person, colleague and leader. At least I hope so! I would say all of the above. I do know that I am not a natural data, detail or numbers person (despite a stint in remuneration, which I ironically loved). I have learned it is important to work to my strengths and manage my weaknesses. Sometimes this involves accepting / soliciting help. I have found this quite challenging but I’m getting better. Also, skills such as networking and self-promotion never came naturally, I’ve had to work very hard at that. In Australia we have a “tall poppy syndrome”. Successful people, with the exception of sport and music are often criticized and torn down. It’s a fine line to walk without looking conceited or narcissistic. Definitely a thinker, with a builder compliment. I know people find my energy and drive confronting and challenging and so endeavor to cultivate high levels of self-awareness around that so I work better with all types, especially producers. Everyone matters, everyone is of equal importance. I’m very thankful that I am in a role where I’m meant to be. But I have created that as I never really “fitted in” anywhere. I found traditional business structures quite challenging, and looking back I can see why. I have learned to work with the system, not in it. Sort of. I collaborate with people – I think non-hierarchical teams and communities will be our future. I am not at all comfortable in a traditional management or leadership role. I prefer to inspire people around a cause, something greater than me. I have to work hard to be an effective leader. To do this I maintain an open mind when it comes to feedback and accept that not everyone will like me. As long as I work with integrity and set an honest intention, people not liking me is OK. This is a good one. When I was in HR – I wanted to impact the business from the inside. However I learned through very painful experience, that it’s very hard to change ingrained systems which actually apply to an entire profession. So what I did was establish a community where we think differently and challenged the status quo from the outside. When I did this, I found I wasn’t alone in my thinking . In fact there are over 3,000 people in Australia and around the world who believe what we believe: the future of HR is about people and leadership. The days of the generalist silo are numbered. The HRTC and Murmuration educates individuals and business on these concepts – and I speak publicly about them also, to audiences of all sizes. This is enormously exciting. I hope to make a positive impact in people’s careers and lives. I want to help them be the best they can be. No job is ever safe. That is one thing I’ve learned. You are only ever one automation away from redundancy, one performance management process or restructure away from the benefits queue. I know because it has happened to me. Even now, I think about the skills and capabilities I will need to deliver value to my clients and community in the future. I need to stay ahead of trends in order to remain relevant. Everyone needs to pay attention to the world changing around them. The rock will crumble if you don’t pay attention to the earthquake. I guess what I love to do is connect people together, in real life and through social media. I feel incredibly fulfilled and excited when I play a large or small role helping people access opportunities they might have otherwise missed. I am here to build people for success and happiness. I am here to do the same for myself. When I am happy, I attract happy people in to my life. I love that.